Round Lake Area Exchange Club names next two Hometown Heroes and they’re brothers! The Round Lake Area Exchange Club and sponsors Nicasa and the Round Lake Area Park District, are proud to announce the latest Hometown Heroes, U.S. Marines Corporal, Ryan Metz and U.S. Army Private First Class, Michael Metz, of Plato Center, Illinois. Their mother, Michele Kay-Metz, of Elgin, registered them for this honor. R. Metz is a graduate of Burlington High School (2011). He currently serves in California. Some of his accomplishments include: National Defense Ribbon; Global War on Terrorism; Sea Service Deployment Ribbon; and Navy Sea Service. M. Metz is a graduate of Burlington High School (2015). He currently serves in Germany. 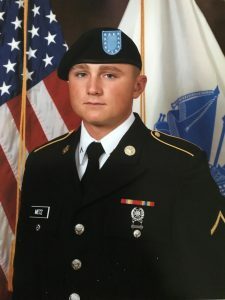 Some of his accomplishments include: Echo Company Outstanding Performance Awards for M4 Marksmanship; and was promoted to PFC at Boot Camp Graduation (1 of 160 graduates). With the generous support of our sponsors Nicasa and the Round Lake Area Park District, both heroes will be presented with a “Hanging with the Heroes” care package will include some of their favorite restaurant gift cards, a personalized “Hanging with the Heroes” t-shirt, and letters from Round Lake Area Schools students. 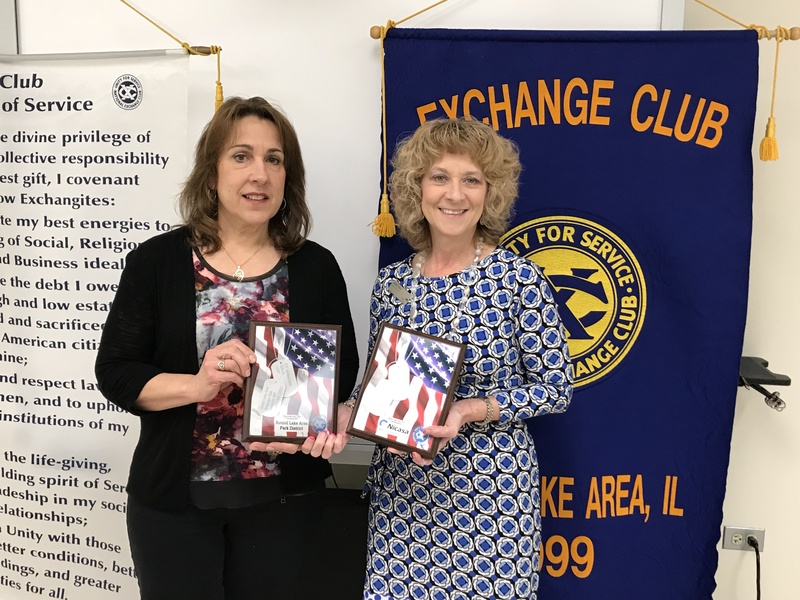 The Round Lake Area Exchange Club recognized our heroes with plaques on Wednesday, January 24, 2018. 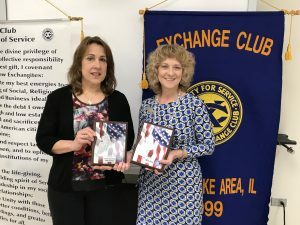 The Round Lake Area Exchange Club meets the second and fourth Wednesday of each month at the RLAS-116 Administrative Service Center, located at 884 W Nippersink Rd, Round Lake, Illinois. 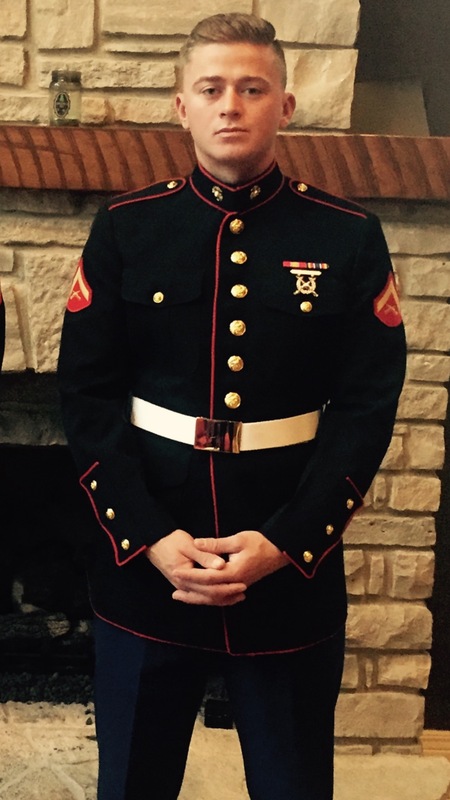 The Round Lake Area Exchange Club needs your help in getting our local heroes signed up! Any and all military personnel serving overseas or in the USA from any of the Round Lake Areas, Hainesville, Fox Lake, Ingleside or surrounding areas qualify for the program. You can register your loved ones in less than five minutes by going to www.rlaexchange.org/hero. For more information visit the website or you can contact the program chair Sherry Ridge at 847-740-2379.